Nutritional supplements for cats support the natural bodily functions and contribute to the animal's overall health. 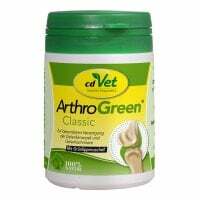 We offer you a diverse selection of food supplements for cats. Used for itching, dandruff, fur loss, etc. 27,90 EUR* Not ready for shipping. Reserve today and we will ship as soon as possible. from 11,95 EUR* Not ready for shipping. Reserve today and we will ship as soon as possible. 19,95 EUR* Not ready for shipping. Reserve today and we will ship as soon as possible. 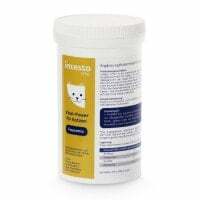 There is a variety of nutritional supplements for cats available which differ based on application and purpose of use. Here, it is important to note which deficiencies or ailments are present und to consider the animal's quality of life. As a rule, deficiencies are caused by increased elimination of minerals/trace elements in combination with decreased consumption of important minerals. However, uptake issues could also be responsible for nullifying consumed trace elements. This should always be diagnosed by a veterinarian. 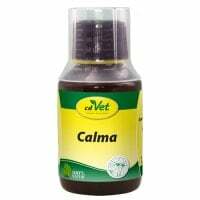 We offer you a wide selection of nutritional supplements for cats and kittens. Many cats suffer from fur loss, dandruff-ridden skin and pruritis. Even shedding can be a problem for many animals if negatively effected by metabolism issues. 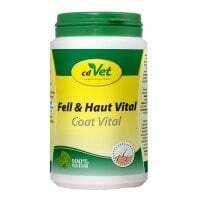 CdVet Coat Vital can help prevent these problems or at least reduce them so that the skin and fur can regenerate itself. Digestive and metabolism issues can result from various causes. For one, many medications contribute to damage of the intestinal flora. Metabolism and digestive issues can also result from stress, deficiencies and inflammation. 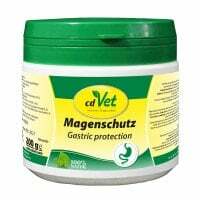 DarmRein Powder from cdVet supports the natural intestinal function and strengthens intestinal flora to reduce the uptake of germs and toxins. This sustainably contributes to a strengthening of the immune system. 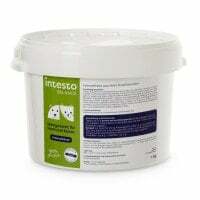 The intesto feline nutritional fibre mix supports weight loss in cats, strengthens intestinal flora and promotes effective uptake of trace elements and minerals in the large intestine. 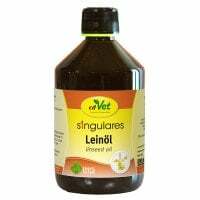 For providing kittens with sufficient vitamins and minerals that are important for growth, we offer you high-quality preparations for rearing cats. If the mother passed away or is not able to produce enough milk, then manually rearing the animals is possible. In situations of stress and fear, the natural herbs can have positive effects on the comfort of the cats. This is especially recommended for scared or nervous animals prior to trips to the vet, for example. 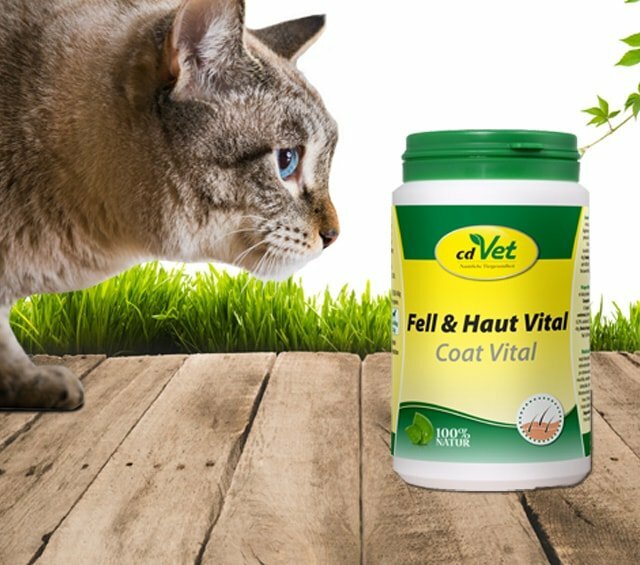 We offer you a diverse selection of nutritional supplements for cats, as a powder or liquid, at affordable prices. Do you have questions about our products or are you looking for a specific preparation? Our customer service can assist you by telephone, email or live chat.